Share market is considered the mirror of the economy. Nepal’s economy is bound to grow in the coming days, for numerous reasons, which are discussed below albeit subjectively. The result will be growing stock market and benefit for the investors. Nevertheless, the challenges can’t be ruled out and if not mitigated the bright future of the stock market will gloom. Firstly, let’s start with the opportunities. Nepal Government (NG)’s main agenda is economic development, which will bear better fruits than previous years. Given that the political agendas have been settled the focus is now on economy. Government alone would barely drive growth; however, the private sectors’ contribution can be counted. 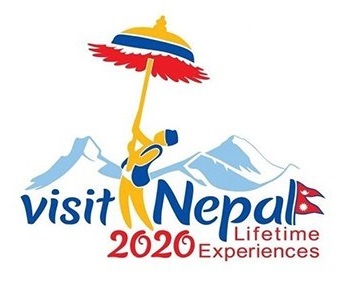 Nepal Tourism Year 2020 is being planned vigorously, which if successful will contribute to country’s economy in a significant way. Likewise, FDI (Foreign Direct Investment) commitments from Chinese and Indian investors, if realised, can drive further growth. The side benefit of these investments as well as increased inflow of tourists is likely to benefit many sectors but primarily, the most benefitted sector will be banking industry. Deposits and lending will both increase which will expand banks’ business thus growing their income and dividend payout. Bank’s profit is also dependent upon the entrepreneurs’ success as well. When entrepreneurs win the banks win too. When everyone is winning it is an increase in Gross Domestic Product (GDP) which is good not only for stock investors but also for all the Nepalese citizens. Nevertheless, there are risk factors equally as strong. For instance, if NG fails to deliver part of its promises, it will result in civil unrest and retaliation thus igniting political instability once again. The result would be disastrous and unprecedented. It won’t be hard to predict that the market will slump along with other serious repercussions. Again there can be unprecedented inflation that will affect the overall economy. Good governance is highly important for economic activities to flourish. The current government is focusing more on projects than on the policies which on surface doesn’t seem quite right from the perspective of sustainable development. Without good governance, the entrepreneurs cannot engage in healthy competition, do not have incentive to produce quality products, and more likely face uncertainty even when they encounter minor problems in their businesses. Inflation erodes money’s worth, and therefore, poses serious risk. Although the money that is held as cash is more prone to lose its value rather than money that is invested in either stock or fixed deposit, the money nevertheless won’t grow in terms of its real value (that is, its capacity to buy goods and services). Return rate must be higher than the inflation rate in order to achieve true return from any investment. Inflation has been major macro-economic problem in Nepal for a decade now and it is still quite high. If inflation cannot be controlled then the real return from the investment won't be justifiable. First the market is in downward trend, that is the index is decreasing in overall. This means P/E ratio have gone down. So, you are paying less price to get same proportion of earning from a company than before. The returns of many companies are promising which combined with lower price will hike the yield on stock. While it is important to trade slowly instead of rushing to buy so as to reap benefit of declining index, the case for buying stocks is stronger than ever. The banking sector companies which have aggressively increased their paid-up capital due to central banks' policy, nevertheless, have maintained their growth in earnings. The current phase of the continuously bearish market since 2016 is not a usual phenomenon. Nor it is an ideal situation to make rational investment decision. However, this is definitely a signal of opportunity. 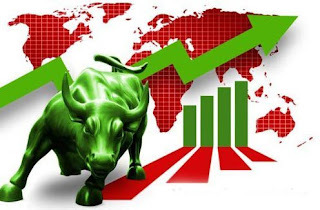 While in the gradual bullish market we would have taken prompt investment decision that would by far be much less rewarding, since we would be paying higher price to get any given stock without resent earning the same return. We wouldn’t have been as cautious, but for a long term investment we wouldn’t have been a great winner. However, if things don’t go awfully wrong in the current scenario, the current scenario poses us with an opportunity to be a great winner if our goal is long term investment. Since as an investor in stock market we are always assuming risk and there is no denying to that. However, the risk at the moment has actually lowered than before, because less money is required to buy a given quantity of stock. Thus, your risk is less per share. Fortunately, majority of the companies have growth their profits, which is why even if the price goes down even further, the returns will cover up for the decrease in price to some extent. However, if you are risk averse as well as short term trader, then I would recommend you to stay away from the stock market in the current situation.